We heard rumours before the Galaxy S III was launched that it might come with wireless charging capabilities. 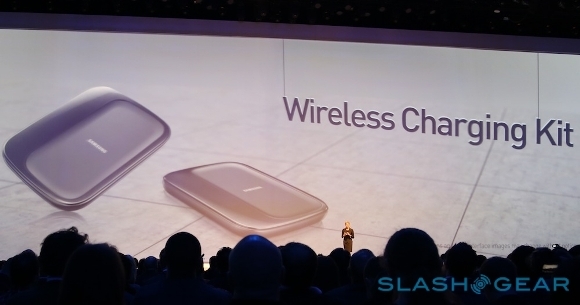 While Samsung did not boast about the feature at the launch, it did reveal a wireless charging kit for the smartphone. The Wireless Charging Kit includes a desk cradle and a replacement rear battery cover for the handset itself, but before you jump with joy and hope for the kit coming along with device, we would tell you to relax. We have news that the kit might be available only from September. So the wireless charging kit might not be a standard accessory when the smartphone hits the stores, but it will go on to sell as an add on accessory for the S III by September. You think wireless charging could be the next big thing? Also would you consider buying a wireless charger if your smartphone supports wireless charging?